If you’re looking to test your shooting skills in a fun competition while enjoying the camaraderie of other shooters, check out Bristlecone’s weekly Bowling Pin Shoot, each Monday, from 4 p.m. to 9 p.m. The cost is $15 per person. Here’s how the Bowling Pin Shoots work: They are bracketed head-to-head double elimination competitions. There are two brackets (winner and loser), with the main bracket consisting of 26 shooters. There is a handicap system in place to ensure a fair match. Shooters are required to wait at the firing line in the “high ready” position with their firearm safely pointed down range, safety on, and index finger outside the trigger guard until the start is signaled. The competitor that knocks all their pins completely off the table first wins the head-to-head round. The winner moves to the winner bracket and the loser moves to the loser bracket, but can still compete until he/she has two losses. Prizes are provided by Bristlecone Shooting nightly. To compete, you will need a pistol or revolver and 100 to 150 rounds; the caliber must be 9mm or greater for semi-automatics and .38 special or greater for revolvers. Optics, compensators and silencers are not permitted. 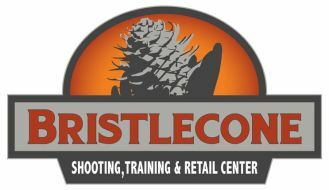 To register for the next Bowling Pin Shoot-Tactical Match or to learn more about indoor shooting and shooting classes and events, visit Bristlecone at https://bristleconeshooting.com/ or call 303-985-0989.